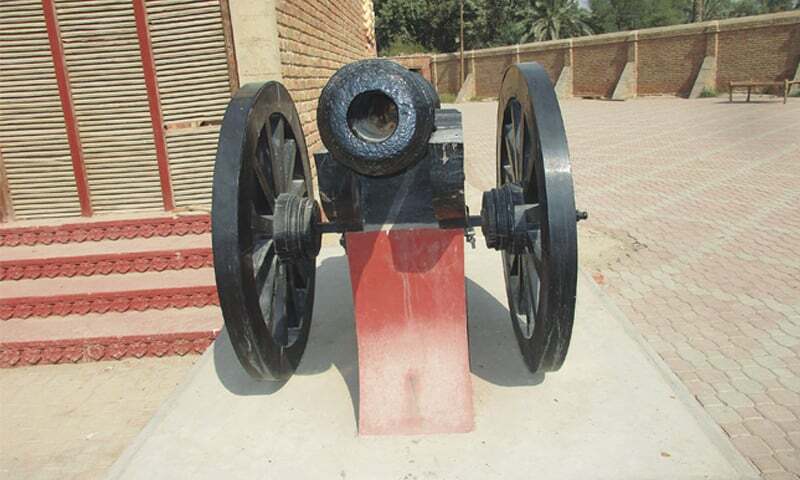 Khairpur is famous for its historical monuments and artistic buildings. Mir Sohrab Khan Talpur founded Khairpur in 1783 and served as capital of the former princely state of Khairpur until 1955. At the time of independence, Khairpur acceded to Pakistan on the condition that it could maintain autonomy over certain areas. However, in 1955, a change in leadership led to the abolition of all princely states, and Khairpur became a part of Sindh. Khairpur Mirs has the rich background. When Talpur army took over the Kalhora dynasty in the battle of Halani in 1783, Khairpur Mirs became the residential area for Talpur and become rulers of Sindh after that they had built magnificence palace Faiz Mahal in 1798. Nowadays, people visit this palace for adventure. An elaborate renovation process has given Faiz Mahal a second lease of life. For someone expecting a glorious frontal view of one of the countrys most beautiful heritage sites, the entrance gate to Faiz Mahal is extraordinary. Deer heads were mounted on the walls, signifying the royal extravagance from another era. The Mahal mostly used for ceremonial occasions particularly for lodging high value guests. The building was constructed with particular consideration for climatic conditions and as wind direction in Khairpur is from the south, its elevation is protected by glaring Sun by a deep verandah that not only shades inner areas but also keeps them cool. In one corner was the entrance to the dining area, which consisted of a massive table, easily capable of accommodating around 40 people. The arches on the front faade reflect Mughal style in all its grandeur. Originally it included the ruler’s chambers along with 16 waiting rooms for courtiers and guest rooms for royal guests alongside the durbar and dining halls. The royal Talpur family resided here, yet this architectural treasure is barely known to our public.